Recorded on February 19, 2012. The SPACE Anthology is supposed to be printed & in color this year. Unfortunately I’m still the editor. I think it’s just you guys & Bob as far as people I know at SPACE this year. You seem very upset about this. 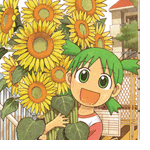 I’ve only read Yotsuba! because of Jeremy. I thought I would give it a shot. No more. Akira is awesome, though. I ran out of gas once, back when I was a delivery driver for an electrical contractor. It was in a company truck. Not a proud time.